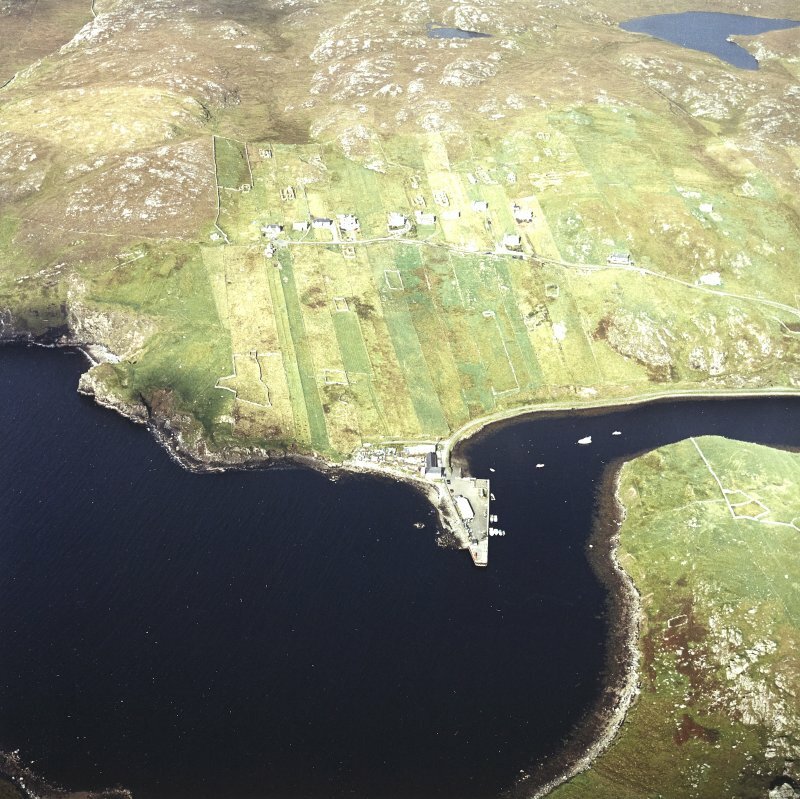 Oblique aerial view centred on the township and pier with the remains of the township adjacent, taken from the WNW. 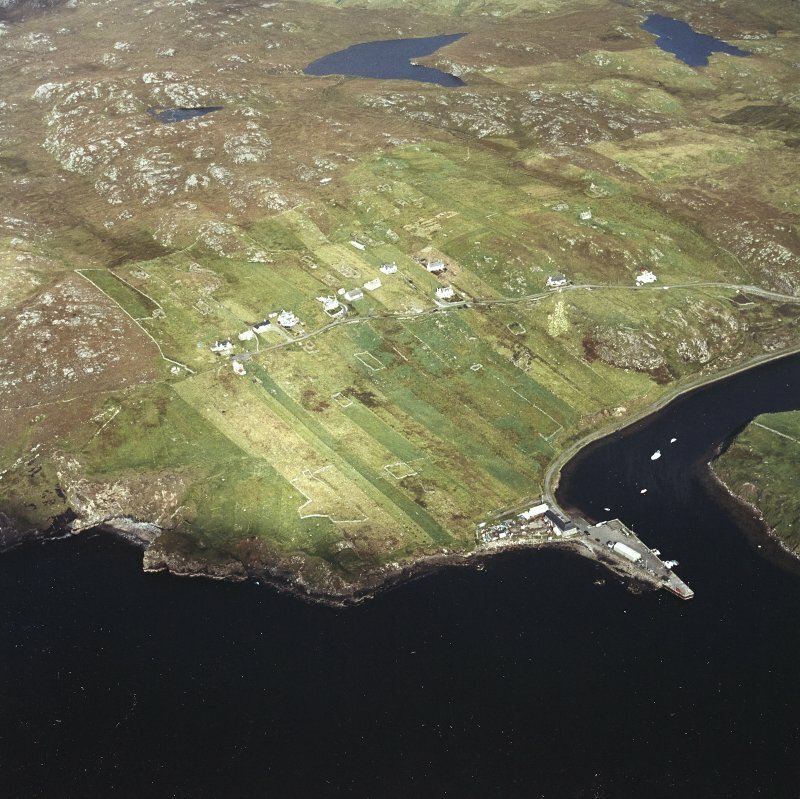 Oblique aerial view centred on the township and pier, taken from the SSW. 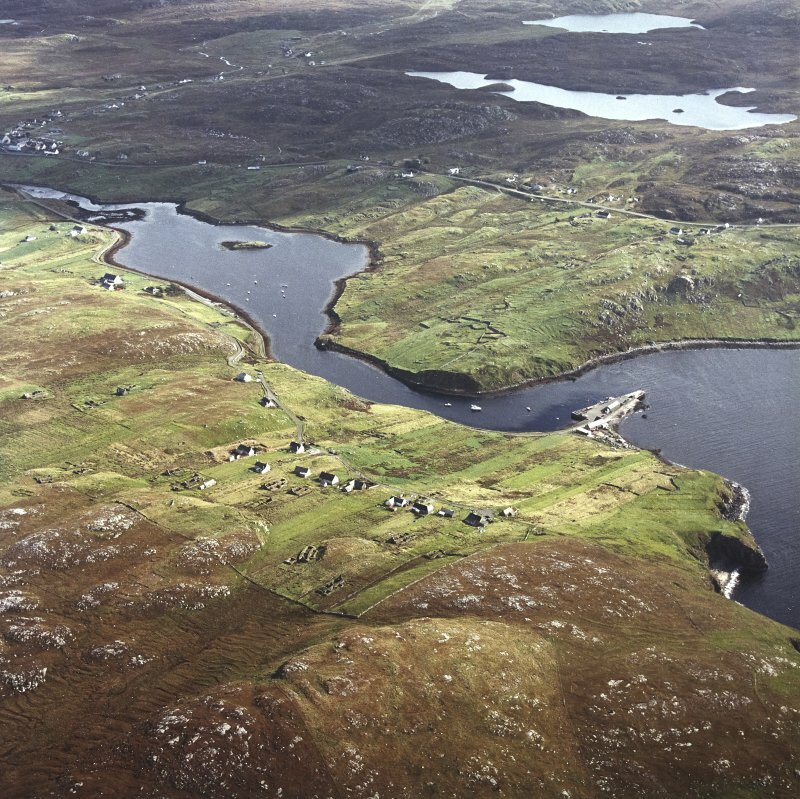 Oblique aerial view centred on the township and pier, taken from the SSE. 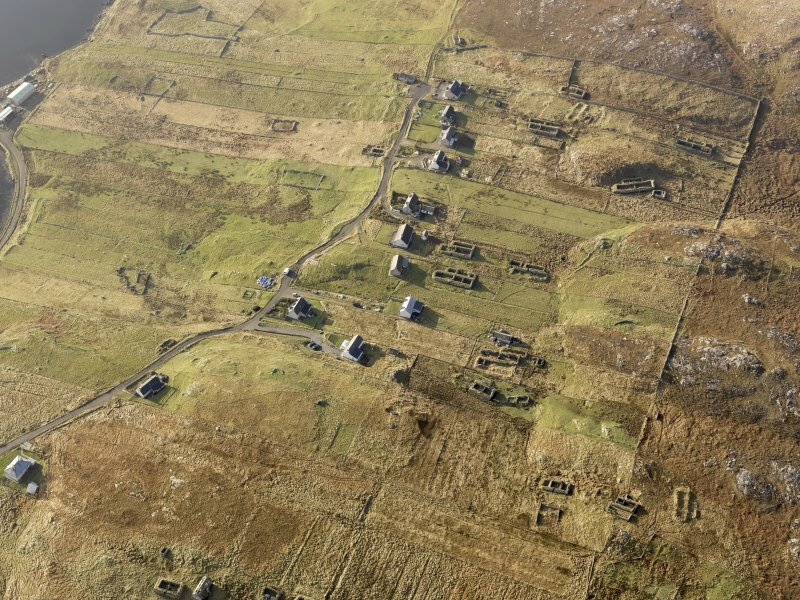 Oblique aerial view of Borghaston, taken from the NW. 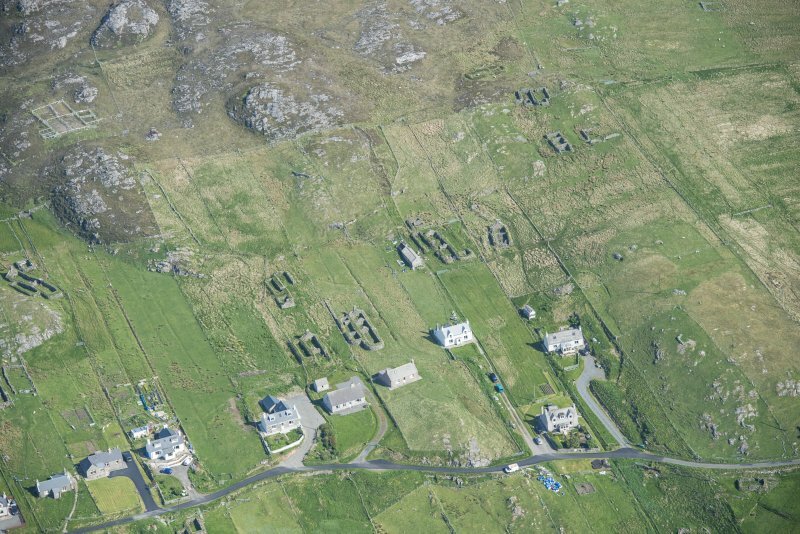 Oblique aerial view of Borghaston, taken from the WNW. 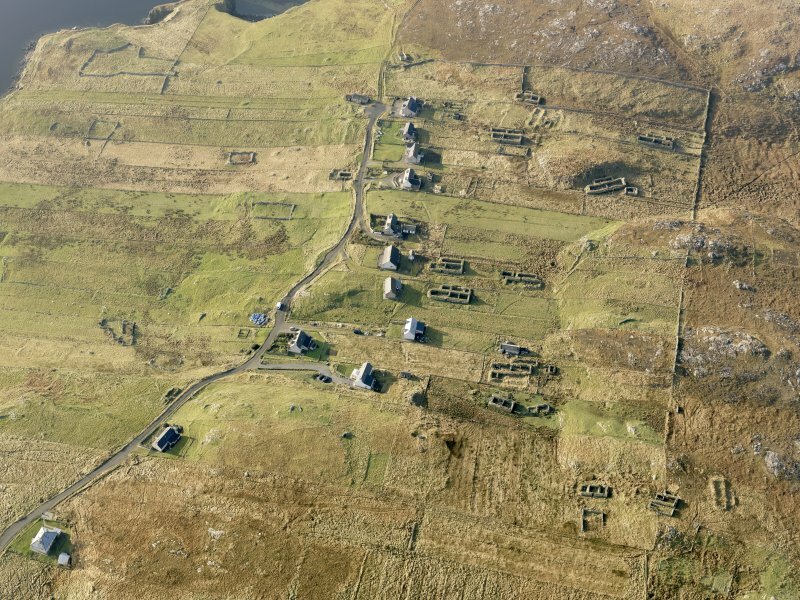 A township, comprising seven roofed, ten unroofed buildings, eight enclosures and a head-dyke is depicted on the 1st edition of the OS 6-inch map (Island of Lewis, Ross-shire 1853, sheet 12). 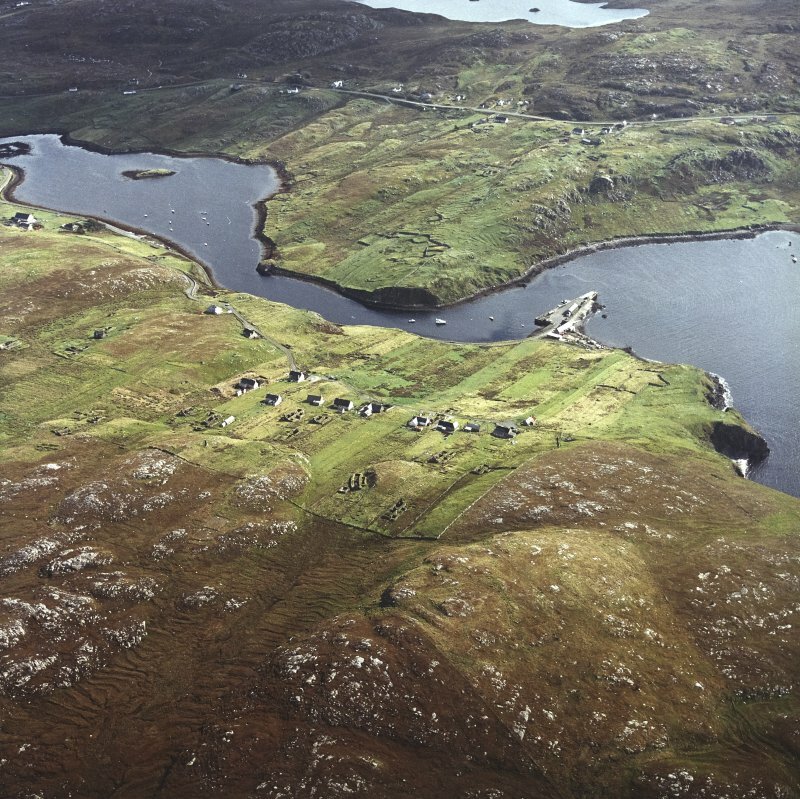 A crofting township of twenty-five roofed buildings and at least six unroofed buildings is shown on the current edition of the OS 1:10000 map (1974).